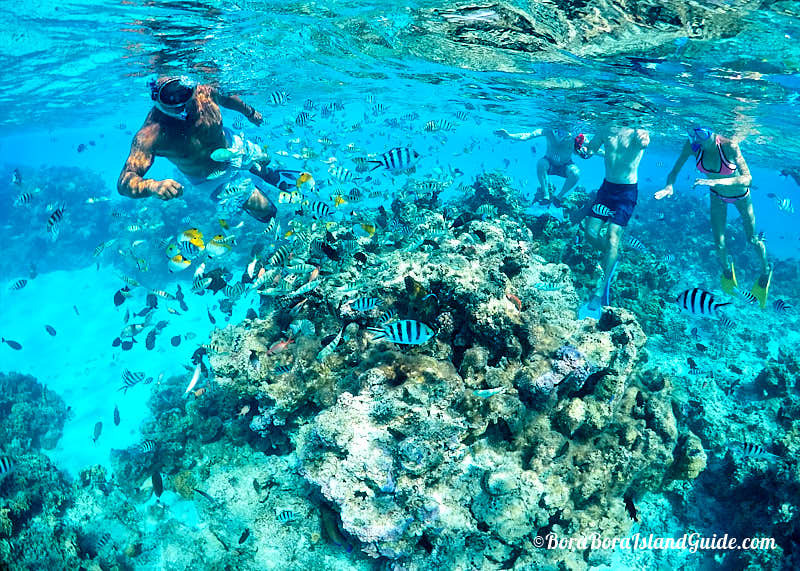 Here's what you need to know before you book Bora Bora excursions! Avoid disappointment.The very best tours have limited places, so can sell out weeks before your vacation. Save money. The cost of buying excursions through your resort can be 20%-30% higher as they add commission on top of the excursion price. Spend your precious vacation time doing and being - not trying to co-ordinate plans, get in contact with providers, or by queuing and sitting at the desk of a hotel concierge. Every moment on Bora Bora counts. Book Bora Bora Excursions Online and Benefit! The very best Bora Bora excursions take limited numbers – usually 4 to 5 couples at the most. This means that they can sell out very quickly. Some top tour guides only sell their services as a private tour, so the most wonderful tours can book out months ahead of time. With the ease of booking Bora Bora excursions online, more families and couples book Bora Bora excursions before coming to enjoy Paradise. While you are wondering what Bora Bora excursions may be available, someone else is securing their excursion experience. The opportunity to book Bora Bora excursions online has changed the way that tours operate in Bora Bora. Yes, you can still show up and ask to take the tour that the resort has on it's books. But there may or may not be availability, you're likely to pay more for the tour than if you prearranged it, and it will be a tour from one of the larger excursion providers. For a unique, special, or private tour in Bora Bora, you will want to book ahead. 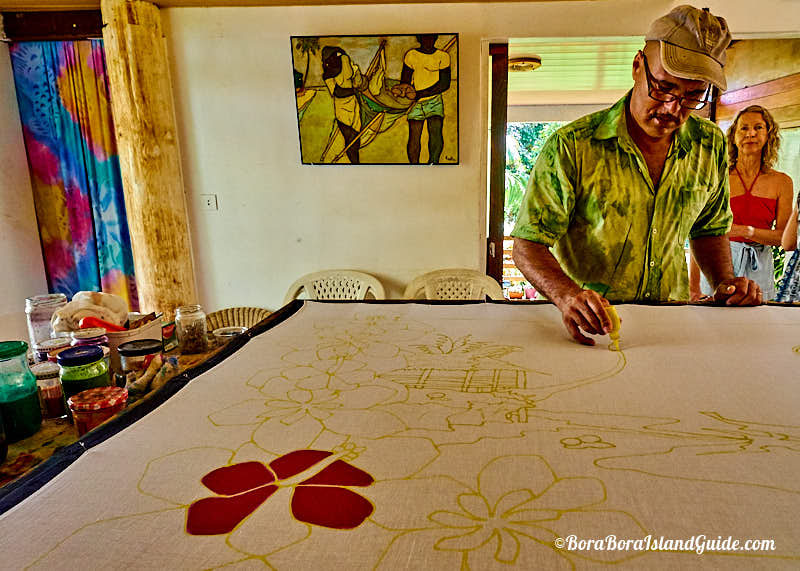 Previously it was difficult for people to book and organize activities in Bora Bora, from home. Now, booking platforms, such as Viator, are providing a welcome service. We're happy we can show people the tours that we recommend, in a way that they can read reviews, see photos, and book without worrying. We hope more tours and activity providers will join as there are some other great tours but it's difficult for people to make contact and book them. In some ways Bora Bora is still on "island time" - which is also a good thing! Booking Bora Bora excursions online will guarantee you the best price for your excursion. Booking through a Bora Bora tour provider directly, or booking through an online tour directory such as this, will guarantee you the best rates, while also offering a very generous cancellation policy. Bora Bora resorts add a nice commission, on top of the price of the tour, before selling them through their concierge tour desk. It might seem like the concierge is doing you a special favor but this is actually one more income stream for the hotels. If you leave all your activity bookings to when you are on-island, you will pay more. That's a reason why we recommend you compare prices and book Bora Bora excursions here. If you are like me, you will want to check out reviews and read other people's experiences before you book Bora Bora excursions. 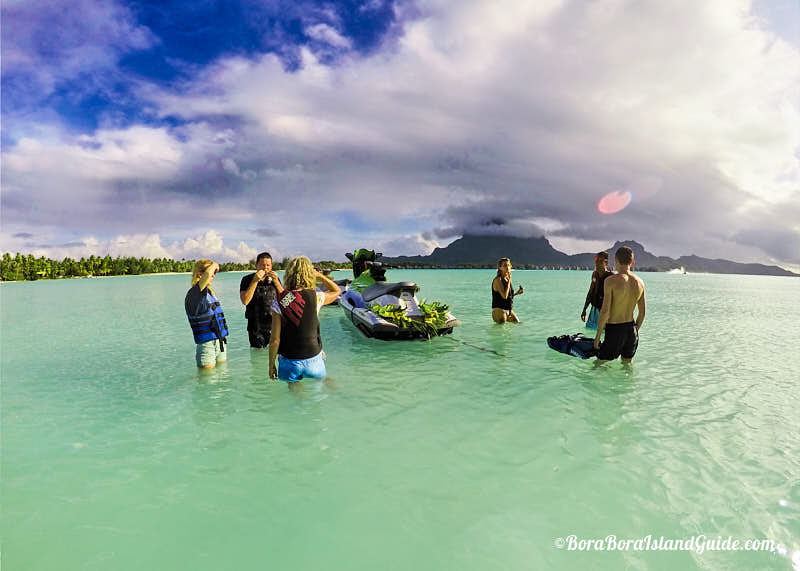 So another reason we recommend people check the Bora Bora tours available here, is that previous excursion purchasers share in-depth reviews and photos. You can also find our reviews of Bora Bora excursions and see what our favorite Bora Bora excursions are. If you are traveling to Bora Bora on a cruise ship, there is no doubt about it, you will want to book Bora Bora excursions before you get on your cruise. Cruise ships have limited tours that they promote, sell them for much more than you could buy them on the ground, and group larger numbers of participants together than on a typical excursion. We want you to have the best experience - seeing the world's most beautiful lagoon – not be squashed on a boat between 40 other cruise-goers! Booking a Bora Bora excursion online, you will be able to have a larger choice of excursions, with smaller groups, and secure the quality of experience you want for your limited time in Bora Bora. It's likely to cost you a lot less too. Have a look at the Bora Bora excursions available on the date you will be in Bora Bora. Bora Bora excursions are available as a half day or full day excursion. Most activities are half day, either departing in the morning around 8.30 to 9.00am or leaving between 12.30 or 1.00pm in the afternoon. We recommend taking tours in the morning as there is less heat, more chance of having the best weather, and the marine life is more active in the morning. If you take a full day excursion it will either include lunch on a motu in Polynesian picnic style or give you time for lunch at a main-island restaurant like Bloody Mary's. Check if lunch is included in the price of your ticket, adding value and interest to a full day Bora Bora day excursion. Remember that the best excursions do sell out because they have limited spaces! See the complete list of what's available to savvily book Bora Bora excursions online.